What you could change and alter could never be finished or complete or dead. This is what I had been told back then, and what I had tried very hard to believe in since. 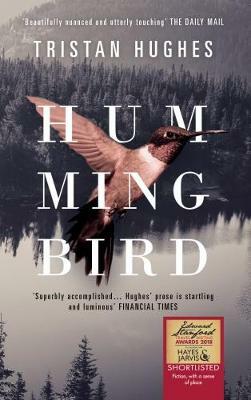 In Hummingbird, award-winning author Tristan Hughes has braved the Canadian wilderness: familiarising the landscape of his youth in a poetic coming-of-age story about death, life, and the changes they bring. Born in Atikokan, northern Ontario, he moved to an island off the coast of North Wales with his parents and elder sister when he was 4. For the next ten years of his life, he returned to Canada every summer. He is a senior lecturer and an AHRC Fellow in Creative Writing at Cardiff University. Hummingbird is his fourth novel.